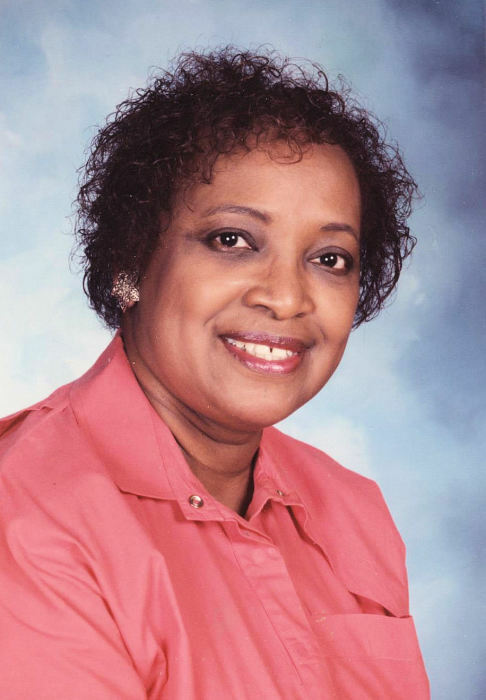 Obituary for Jessie Lee (Akins) Hollins | King-Tears Mortuary, Inc.
Jessie Lee Akins Hollins, departed this life on March 22,2019. She was born in Fort Worth Tarrant, Texas on November 25, 1931, the second child to Jesse Akins and Eloise Brown Akins. The first child, a boy, her father and mother preceded her in death. She professed a hope in Christ at an early age, became a member of Greater Mt. Zion Baptist Church and joined the youth choir. Later, she served on Usher Board Number II for fifty years plus, and served as secretary for several years. She attended the public schools of Austin and graduated from Anderson High School. Her college work began at Samuel Huston College where she earned her Bachelor of Arts Degree in Business Administration. She later obtained a certification and Master’s Degree in Special Education from Prairie View A&M University and did additional study at The University of Texas at Austin. Jessie Lee was married to the late Arthur James Hollins, Jr. of Jacksonville, Texas and to their union two sons, Dexter Bartholomew Hollins and Nelson Douglass Hollins were born. As a young girl she grew up in a Christian home with extended love and care toward family and friends, pets (cats/dogs), sharing food and goods with our church minister and his family, relatives and friends through the year. Jessie Lee and her sons were so delighted every Sunday to go to worship service and after church go to Big Mama’s for dinner. They knew Big Mama, after leaving the worship services, had gone home to prepare the table for Sunday’s meal. They couldn’t wait to get to those delicious rolls and cobbler. During her early years her family lived in the Government Housing on Poquito Street, near Rosewood Avenue. Everyone knew each other, so were like one big family. In her mid-years, Jessie Lee was hired and contracted by A.I.S.D. to teach in the position of Mrs. Ruth McAllister who was making a change. This occurred when Mrs. McAlister was selected and accepted to become Supervisor of Special Education Teachers for A.I.S.D. schools. Jessie Lee was contracted to teach the Educable Mentally Retarded Students at the Intermediate Level at L. L. Campbell Elementary School, Mr. C. L. Moore was the principal. Several years later the Educable Mentally Retarded name changed and the class became The Resource Classroom for the slow learners, emotional disturbed, and sometimes an autistic. Her growing up experiences remained with her in later years as she continued showing love and care to others. She worked with many handicapped children with special needs. She also made many home visits to her student’s houses. During the Summer Olympic Events which took place in the 60’s at the University of Texas each year for Handicapped Youth, she drove to the homes of her students to pick them up so they could participate in the Special Events. It was such a joy to see excitement on her students’ faces after receiving their ribbons for winning. For two of her years she worked with six severely handicapped students and she had two helping aides daily. Later Jessie returned to the Resource Classroom. The class began with a few students, but the class size increased fast, as needed. One summer morning while visiting relatives and friends in Dallas, Texas, she noticed a large article on the front page of The Dallas Morning Newspaper “SPECIAL EDUCATION CONFERENCE” – This week at the Dallas Convention Center. She decided to attend. After that she enjoyed traveling across the country to different states attending Special Education Conferences and Symposiums to broaden her understanding of children with special needs. She also received credit and many certifications. Jessie Lee retired from her job as a Special Education Teacher after thirty years of diligent service. She retired from teaching to care for her mother and her mother’s baby brother (her uncle) who she loved dearly. Jessie attended to their health needs for several years. Jessie Lee enjoyed listening to spiritual songs, hearing encouraging messages of God, His faithfulness, and His love for us. She loved her sons dearly and enjoyed visiting with them, sharing, laughter, taking cruises, traveling (flying), celebrating holidays, birthdays, cooking, eating out at nice restaurants on occasions, arts and crafts, pets (cats/dogs), sports (football), window shopping, nature and jazz music. She will be dearly missed by her beloved sons, Nelson D. Hollins of Arlington, TX, Dexter B. Hollins (Cynthia) of Dallas, TX; one adopted son, Robert Young, “Chef Rob” of Arlington, TX; one grandson, Jaren R. Hollins of Dallas, TX; one granddaughter, Kailee Martin; many cousins, other relatives and friends.